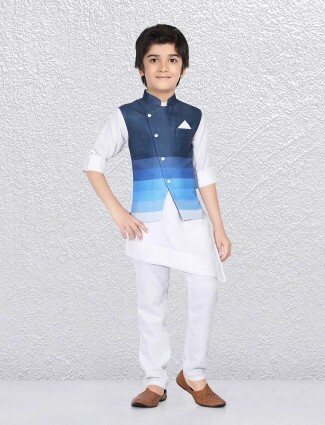 Awesome look in this cream hue terry rayon fabric solid party wear waistcoat set. 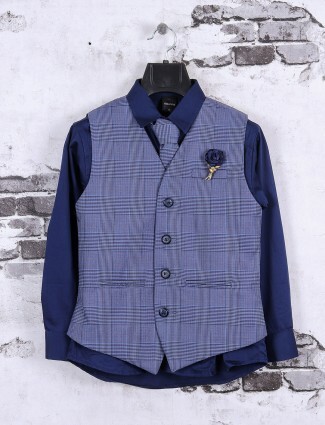 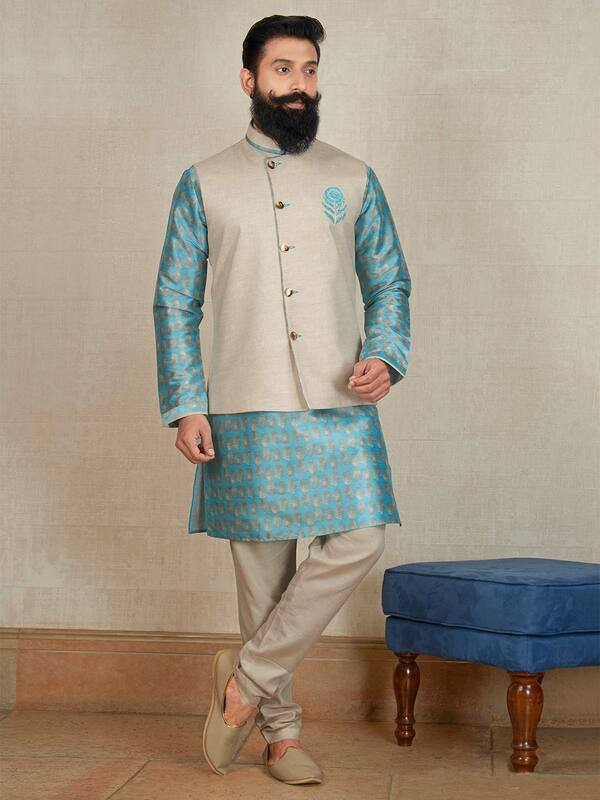 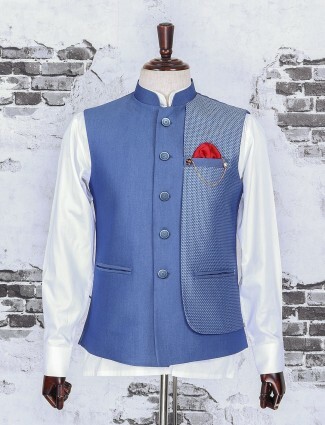 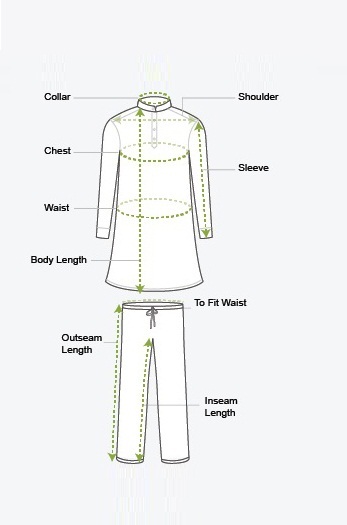 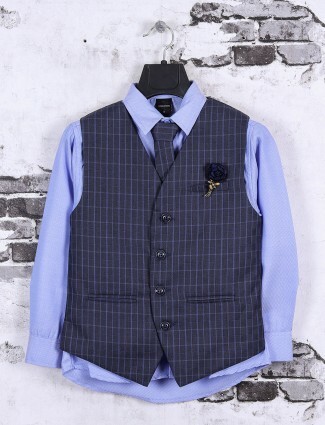 Features with stand collar, full button placket, resham worked patch and vented hem. 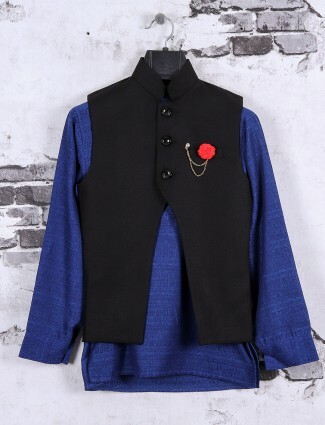 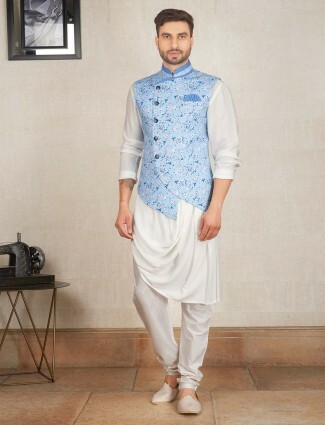 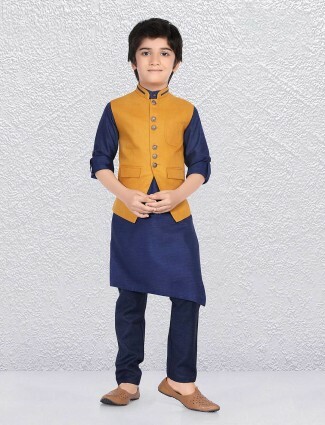 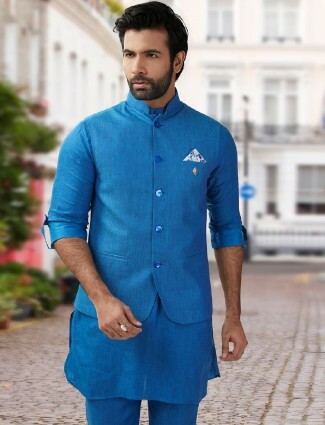 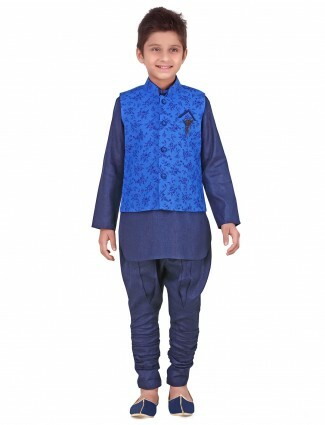 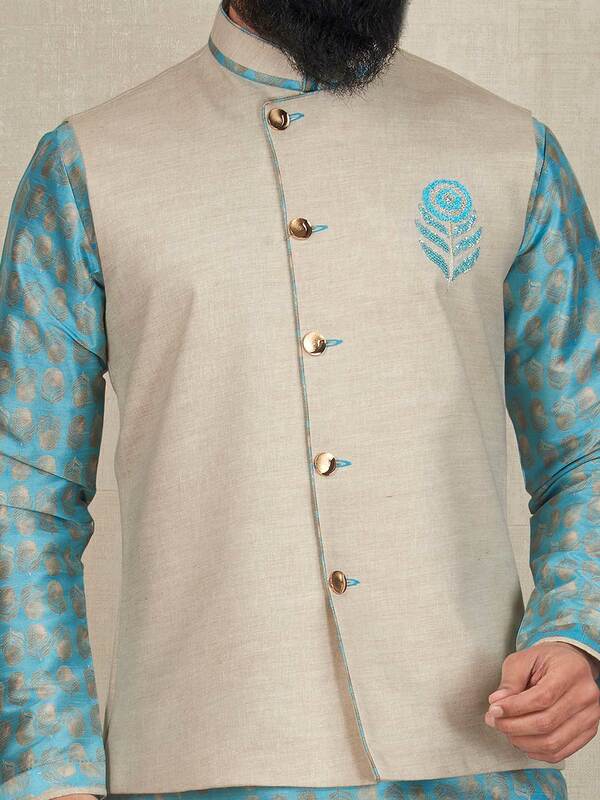 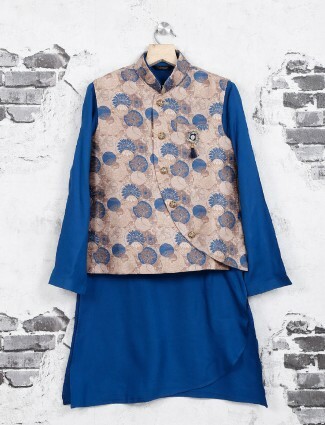 comes with blue hue cotton kurta and bottom.